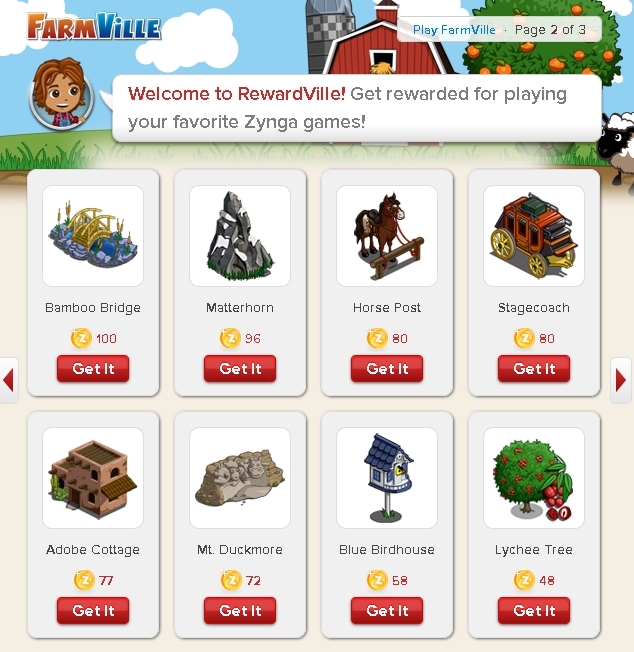 Yesterday, Zynga Inc. announced the global launch of RewardVille, a new online rewards program that gives Zynga’s players more fun experiences with Zynga games. 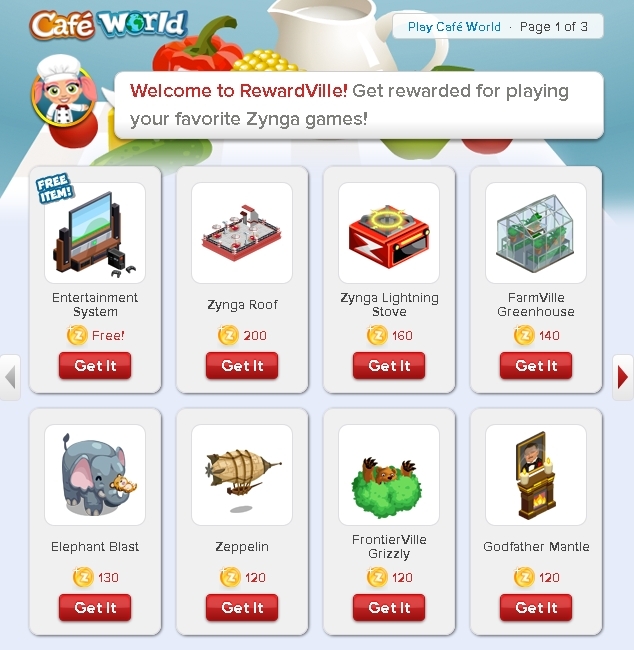 To get into Rewardville program, just connect with your Facebook ID, where you will be asked to grant access to Rewardville on Facebook. 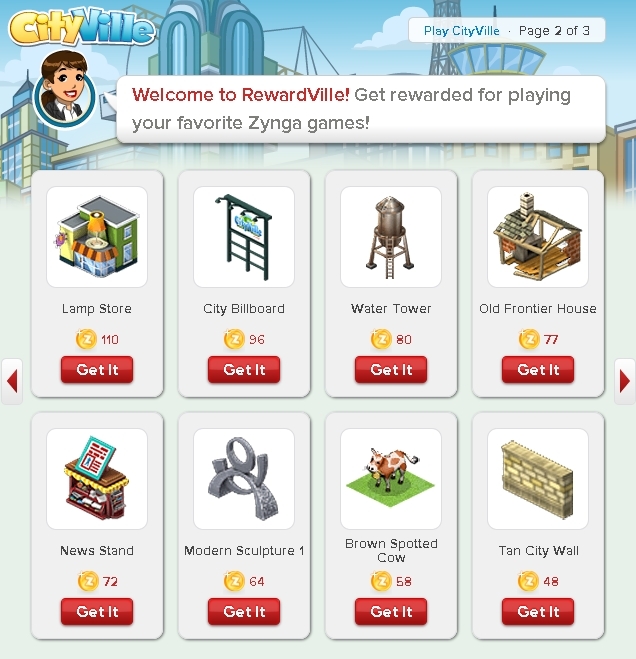 A top banner with your Rewardville points will appeared on each Zynga games that are featured in Rewardville; CityVille, FrontierVille, FarmVille, Mafia Wars, Zynga Poker, Café World, Treasure Isle, YoVille, PetVille, and Vampire Wars. 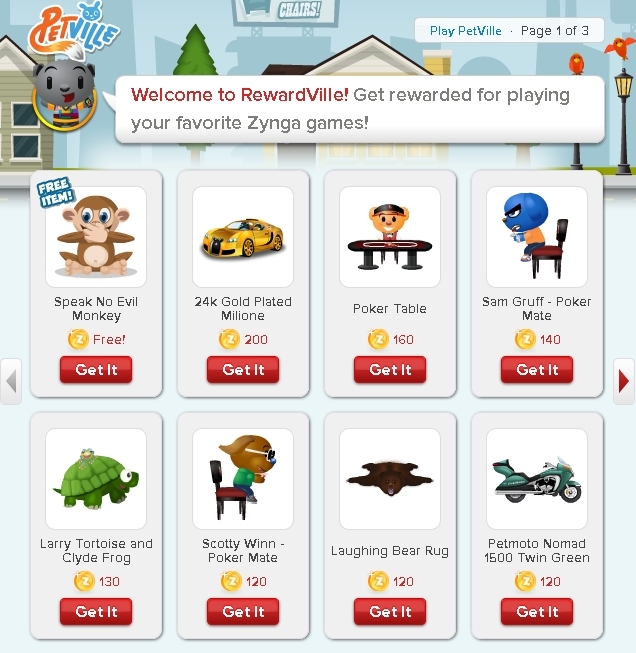 However, decorating or building won’t earn you any zPoints, unless you’re engage in jobs or task that are associated with the game play. 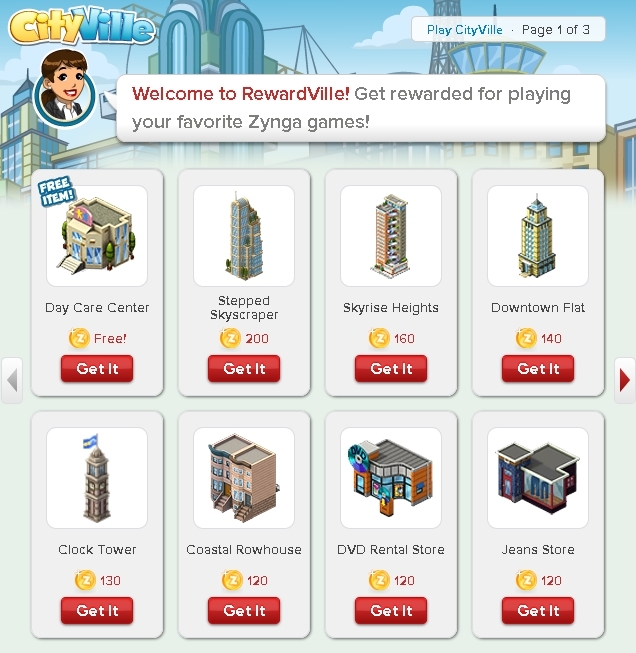 This entry was posted in Facebook, Games, Reviews/Guides and tagged Application, Cityville, Facebook, farmville, Free Gifts, Games, Mafia Wars, Reward, Rewardville, Treasure Island, Vampire Wars, Yoville, Zynga, Zynga Reward. Bookmark the permalink. 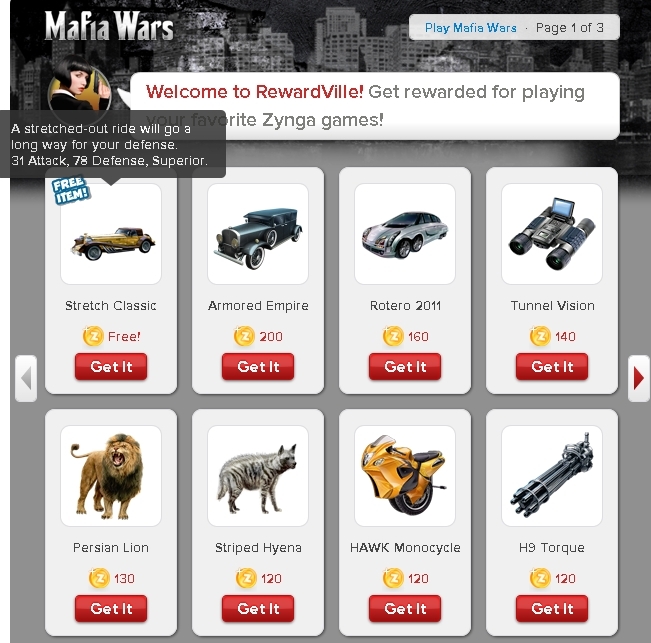 16 Responses to Zynga RewardVille – Get Your Cool Rewards Now! 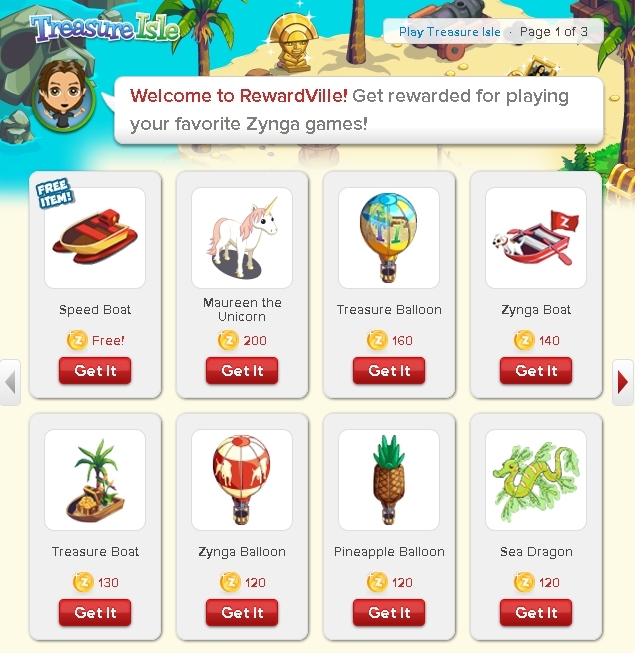 theres still giving the item in rewardville? 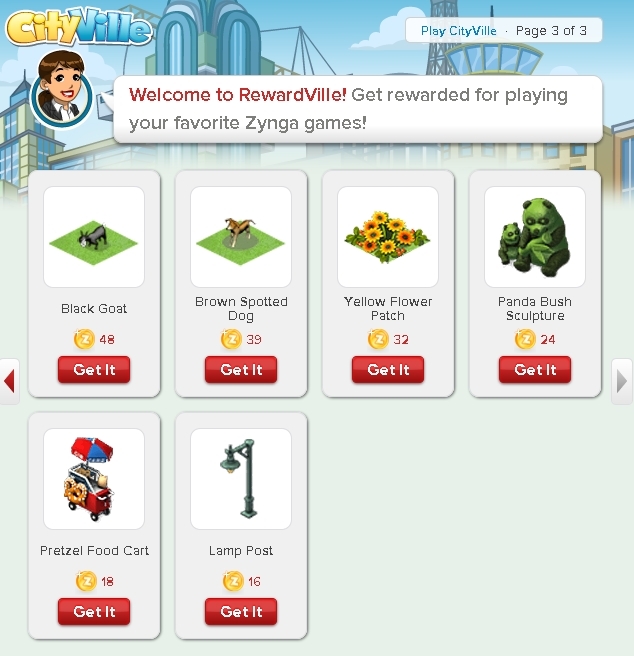 how to claim the 1M chips reward in the ville?? I want to start playing. What games can you suggest? how to claim my reward in zpoker when i try to click the reward it stuck. 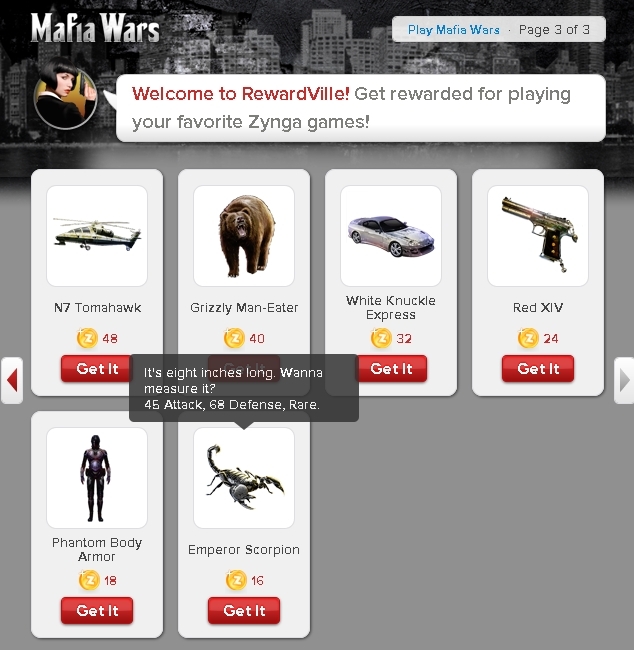 and saying getting it now but nothing happen… if this is true i want to know how to claim it and use it.. im playing poker mafia wars and farmville. 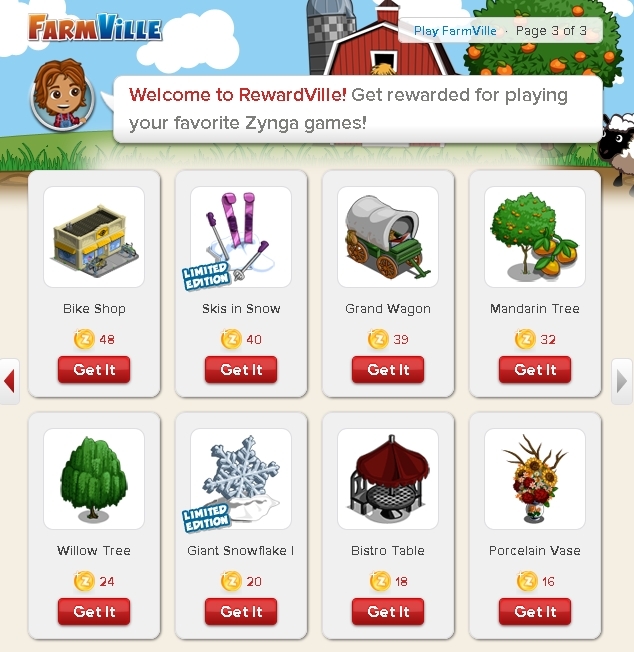 some one help ireally like it thx..
Hi Darshit, login from your Facebook to Zynga Rewardville page, and just select the Free items from any Zynga games that you played, it will open up a pop-up window informing you that the item has been placed in your Inventory. You can either choose to go to the game page or check the item later. 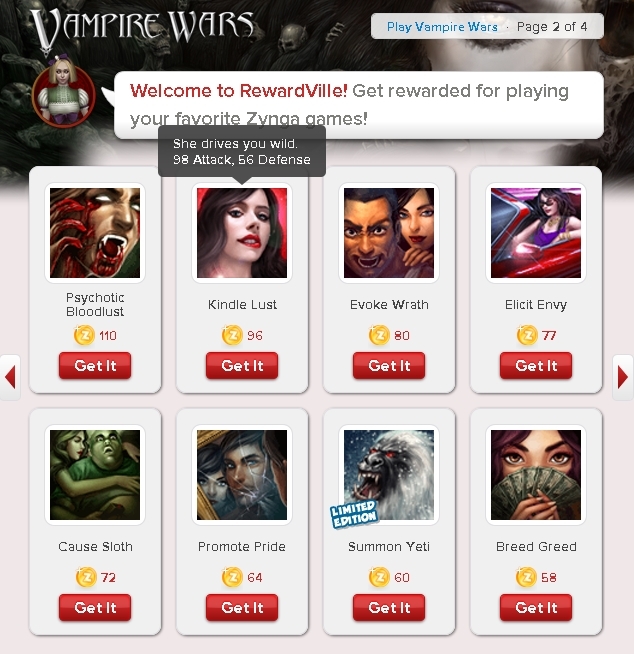 Hi Pat, open Facebook in a browser, then open Rewardville homepage in another tab. 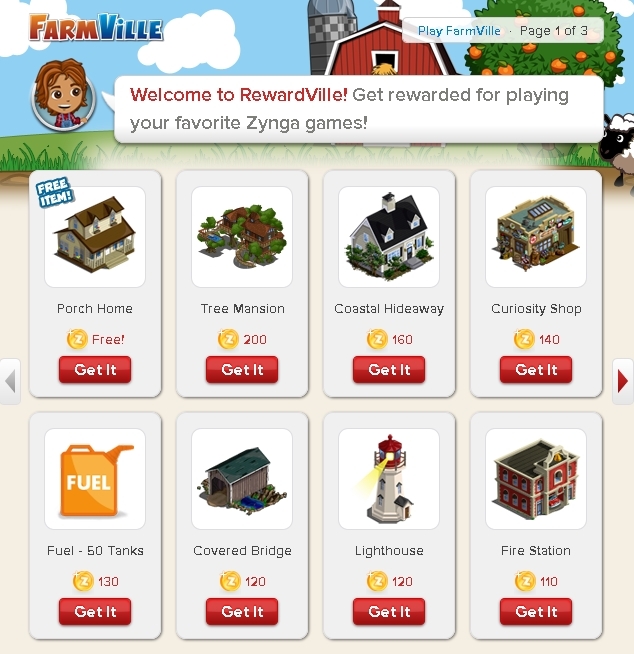 In Rewardville homepage, login first with your Facebook ID by clicking that button in the top right corner (you’ll be asked to grant access/ authorizing Zynga for some control permission). 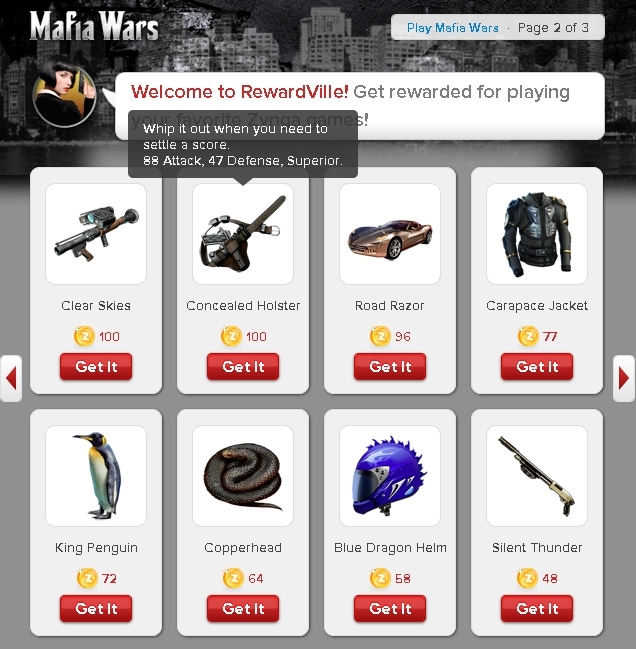 And the Rewardville homepage will be refreshed again, this time with your points and coins at the top right corner of the page. 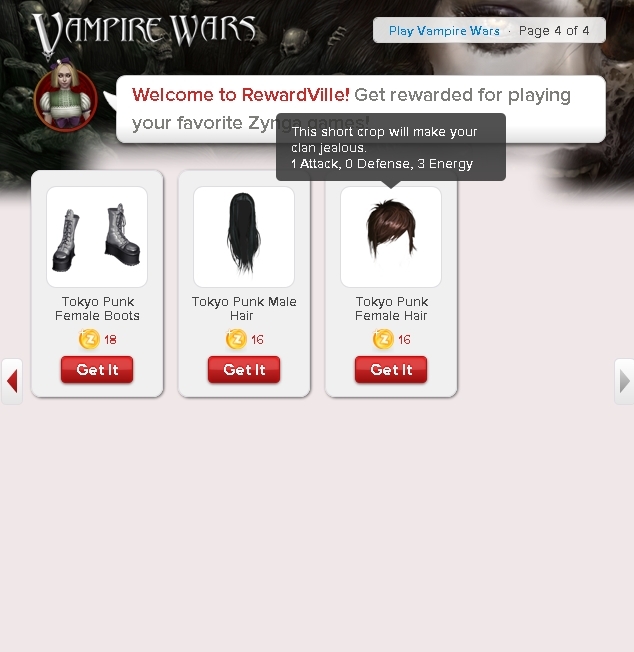 To get your free reward item, click any games icon that you’re playing and browse through the rewards, and click on the ‘Free!’ items. Another small pop up window will opened up and you just follow the direction there. 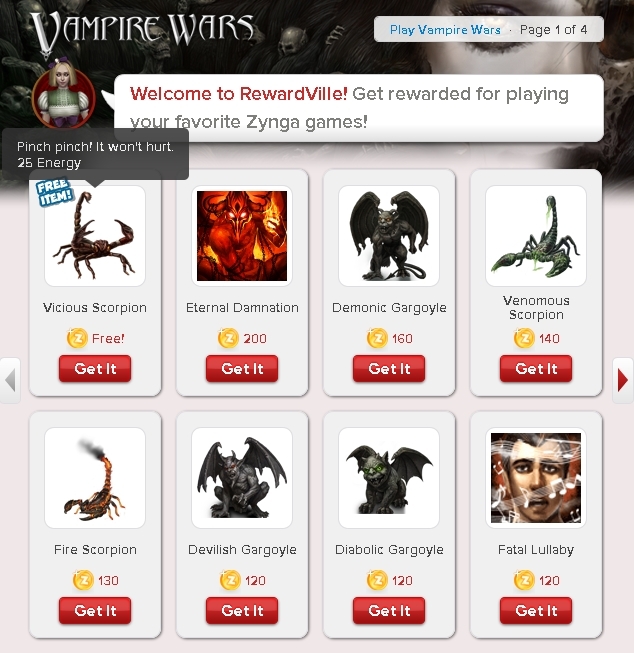 Do that for all Zynga games that you played. 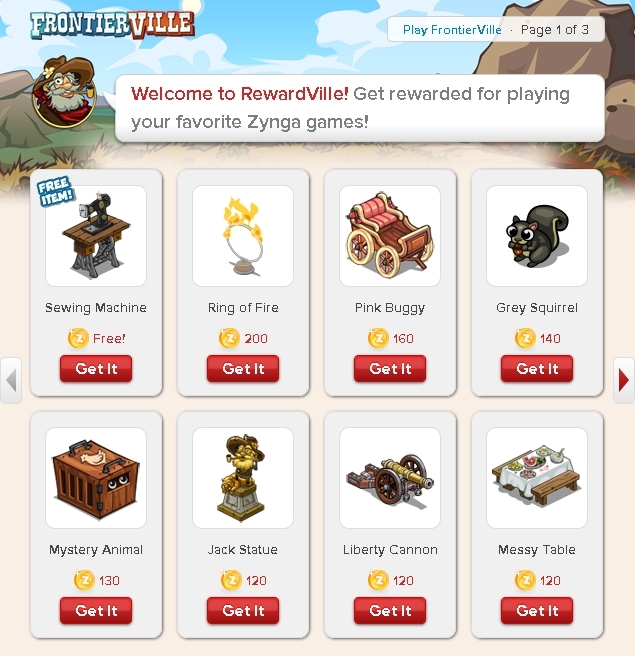 To check whether you’ve indeed received free gift, go back to your Facebook page, go to Petville, and check your gift box. 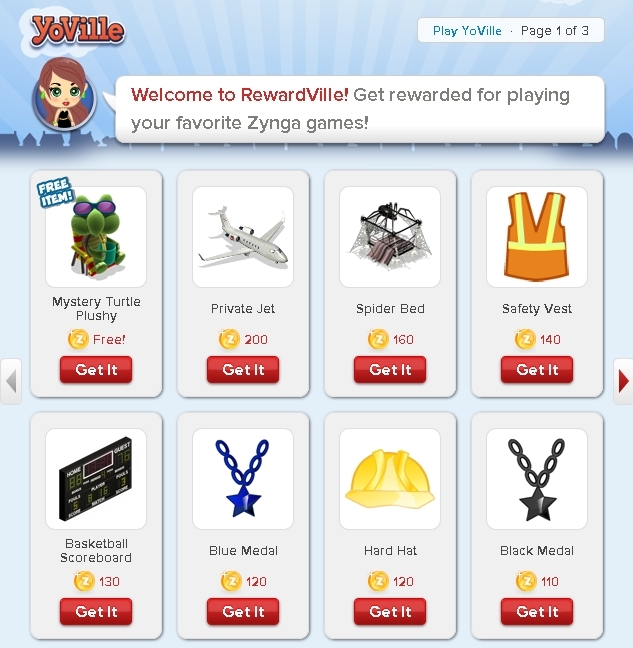 Once you’re authorized Rewardville, a small Rewardville banner will appear on top of each of your games that will show your current points and coins every time you played that particular games.